Your wedding veil is a big part of your bridal style! With a stunning veil, you can have confidence as you make your way down the aisle. But, with so many veils to choose from, how do you go about deciding on the best one for your own big day? The Vintage Bride. 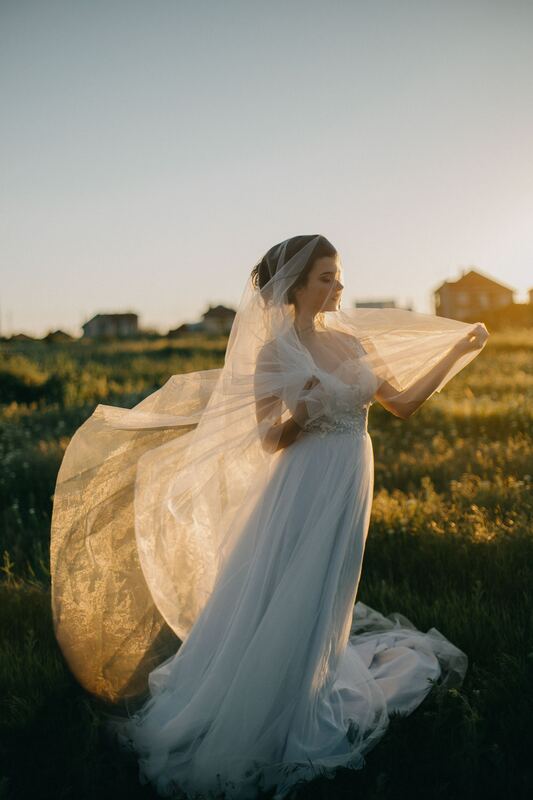 If you have an appreciation for the past, you may be seeking a vintage veil. To complement your chosen style, consider a bird cage veil! These little beauties will certainly add a dash of flair to your bridal style. The Traditional Bride. As a traditional bride, you will certainly want to showcase a traditional sense of style. A minimalist veil would be best, with little to no detail. In addition, consider elbow-length. Sometimes, it’s the simplistic details that are the most beautiful! The Boho Bride. Do you have a love of the natural beauty that life presents? If so, complement your free and organic personality with a floral crown! So, forgo the fabric and create beautiful blooms to adorn your hairstyle, for a stunning presentation. With the right veil, you can be truly happy with your bridal style! These are just a few tips to assist you with choosing yours. In addition, if you are still in search for wonderful wedding rentals in Grover Beach, California, please contact us here at Butlerz Event & Beach Rentals. Our goal is to create your big day to be nothing less than spectacular with our Grover Beach wedding rentals.